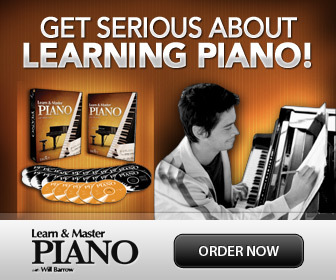 So, Who Invented The Piano? Bartolomeo Cristofori (1655-1731) of Padua, Italy was a harpsichord maker who invented the piano called "Gravicembalo col piano e forte" around the beginning of the 1700's. 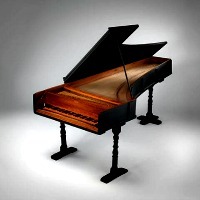 Cristofori is the inventor of the first keyboard instrument with hammers to "hit" the strings instead of quills to pluck the strings like the harpsichords. This made it possible to play both soft and loud (col piano e forte). But let's go even further back! A statyette of the water organ, Hydraulis. The piano we play today is actually a “hybrid”. It's both a string instrument and a kind of percussion instrument. The piano strings are set in a frame in the shape of a harp, and are played by hammers covered in felt. The first proof of a keyboard instrument goes way back in history to ancient Greece! It was called the Hydraulis- and was a water organ, a predecessor to the Church organ, from about 300 BC. Now you can see a new fantastic replica of the Water organ finalized in 1999, at the museum in Dion, Greece. Here is a video to see and hear the Hydraulis being played! The Hydraulis became rather popular and spread to Rome and Western Europe. The instrument was even used to help get the audience in a good mood during Roman gladiator games! The Ancient Hydraulis (middle) is a predecessor to the Church Organ, and in a sense to the piano. The ancient Hydraulis developed from a more secular instrument to an acceptable religious instrument. Later it developed into the Church Organ and was increasingly used in the Catholic liturgy during the eight century AD. Later the inventors of the piano and other keyboard instruments, built upon this idea of keys or levers being pressed down to produce sound in various ways.